Thanks to everyone for their ongoing and continued support!! For a full update on all of the charges (those that were dropped, plead to and now on trial) please go here. To get a feeling of how court is going so far, check out the court roundups from the Halifax Media Coop, RCMP Tactical Officer Cross Examination: “My function is not to negotiate”, and Crown’s first eyewitness, RCMP ERT member “My report writing is just sub-standard.”. To continue to follow the trials, follow @mileshowe on Twitter as he is releasing daily courtroom roundups and @defendourlands #WarriorsCourt for sneaky-live-tweeting and other updates. 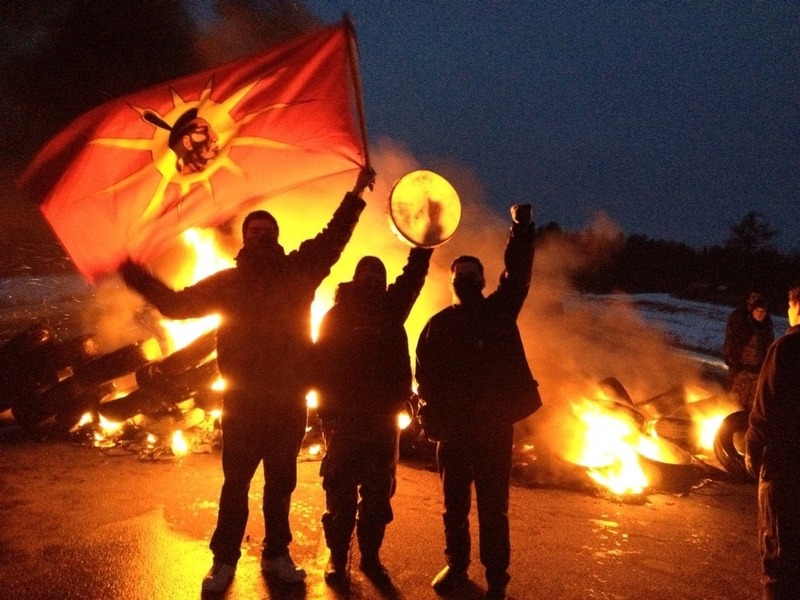 Posted on April 4, 2014, in Oil & Gas and tagged #Warriorscourt, anti-fracking New Brunswick, Elsipogtog First Nation, Indigenous resistance, Mi’kmaq, Mi’kmaq Warrior Society, native blockades, native resistance, New Brunswick shale gas protests, RCMP and Natives, repression, SWN Resources Canada. Bookmark the permalink. 2 Comments. Help create a culture of resistance. Support these warriors! Thank you to all the warriors coast to coast fighting for our rights!! I see Squamish nation members here in Vancouver joining the fight!!! J.M. Smith/Eel Ground FN/Mi’kmaq Nation! !